So much for cozying up next to the fire and flipping through its glossy pages. We have to hand it to Nintendo. Instead of eliminating video game manuals altogether, the company continues to pump out thick game booklets that cover all the proverbial bases. Now comes word that the publisher plans to ship the Japanese version of Super Mario 3D Land sans in-game manual. 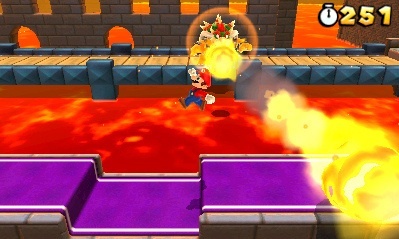 Instead, consumers will access info on how to play from the 3DS. After years of playing Mario games, you can learn the controls without a booklet, right? No word on whether this will affect the U.S. version, and we certainly hope not. OK, so we don't read many video game booklets, but there's something special about Nintendo's color manuals. We'd hate to see them go. On the positive side, it's a Mario game and the controls should be self explanatory to anyone even remotely familiar with the franchise.